Today is Valentine’s day and I thought that it would be the perfect opportunity to thank you, my dear readers. During the time that my mother was ill and when she passed away I received an overwhelming amount of email and comments. It has been a very difficult time for me, and it still is, but the support of close friends and you, friends that I don’t know, has been a huge help to me. Your sweet words have made a difference and I can not thank you enough! I received messages from readers that are, of have been, going through a similar process. I wish them lots of strength and inner peace. special thanks to U too Danielle… this heart is so… poetic!! Belle soirée Valentine!! 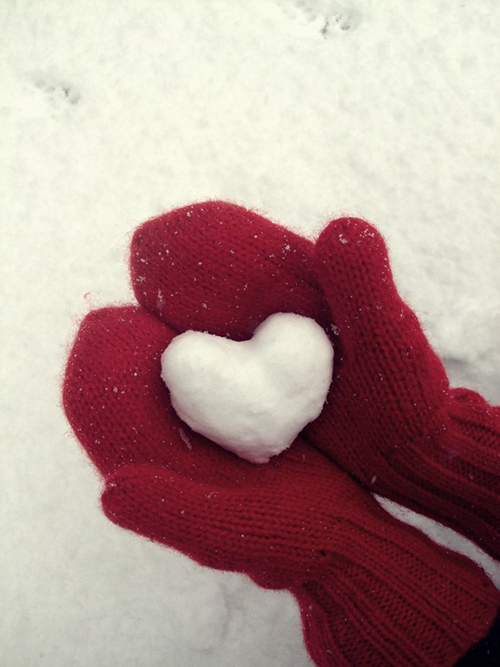 Danielle, we happened to stumble upon your blog …..that cold heart is beautiful and somehow not cold at all! You have a beautiful blog going here…….Happy Val day to you…we hope to be a regular here! things will be difficult for a long time. although.. somehow, it does get better and one learns how to cope and live with this awful loss and longing for a lost love. the love will never ever be taken away from you. it will live within you and through you. forever and always. thank u for fab inspiration och happy valentines! Thanks for your heart-touching words and THANK YOU for your amazing blog. It always inspires me to come over here. You thanked us for virtually comfort you in this parallel universe in your hard time. I THANK YOU, EVERYDAY, for your inspiring posts. Hi Danielle, I hope you are coping with your loss. I lost my younger brother aged 22 last November to leukaemia. I was lucky to have him in my life for as long and every day am inspired by his bravery and patience. He’s made me a better and braver person and taught me how to go on. Thinking of you, hearts.